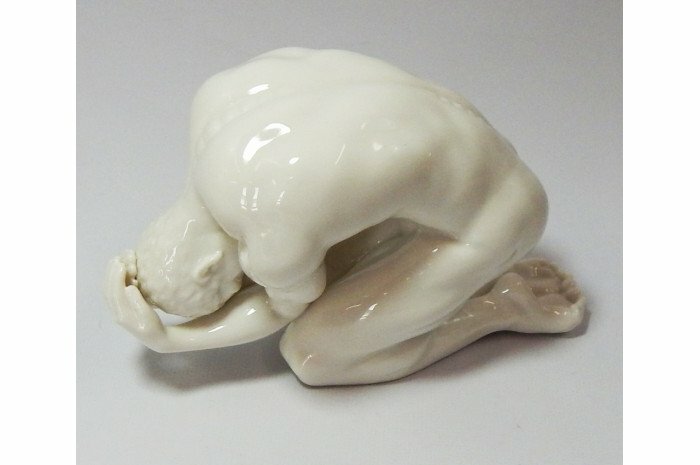 An unclothed man kneeling with his head cradled in his hands. His pose may embody fear, protecting oneself, prayer or despair. 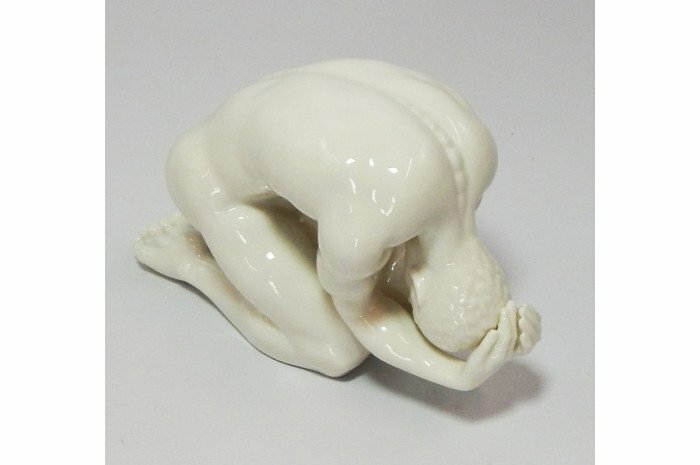 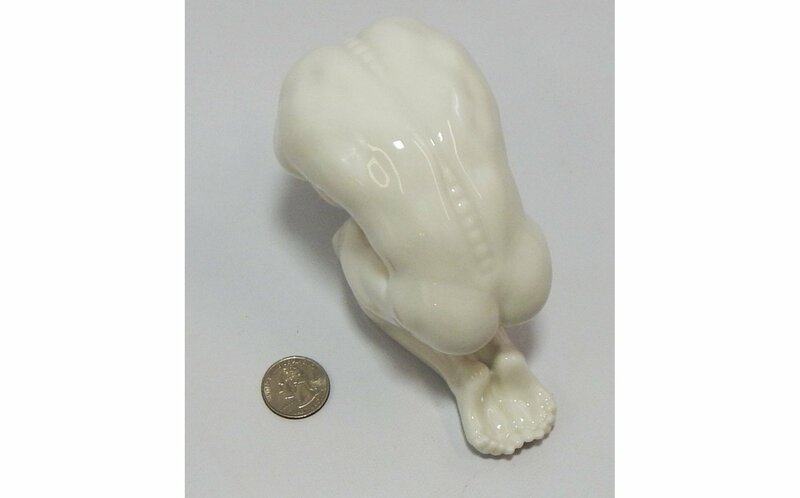 Fine porcelain figurine measures 6" x 2" x 4".